How Disney Markets to Kids & What Can a Hyundai Dealer Learn from it? I just got back from Orlando. My main reason for going was to attend a marketing seminar for car dealers. But, I brought my husband, Rob, and my two kids, Carly and Brady with me too. We had such an amazing time at the park. My kids (Carly is almost 5 and Brady is 6) were the perfect ages to enjoy the Magic Kingdom. Rob and I had smiles from ear to ear the whole day because we got so much pleasure out of seeing our kids so happy. To those of you who haven’t been there before, as you exit each ride, you are forced to go through a store. I was nervous before the day started that it was going to be a battle with Carly, who is magnetically drawn to every retail display she sees. We told our kids that they could each get one thing and that seemed to work. 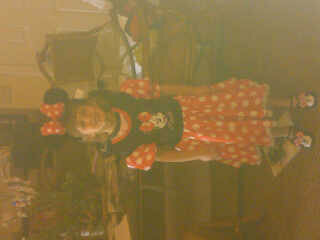 At the end of the day, Carly said she wanted a Minnie Mouse outfit. Rob and I convinced ourselves that her “one thing” was the dress, the shoes and the ears. So, $100 later, we walked out of the park pleased as punch (sorry the picture is sideways, but you get the point). The next day, I got a private tour of Disney with our marketing seminar leaders, Jim and Travis. They pointed out all the ways that Disney subtly markets. It starts with the monorail ride and continues with all the sights, sounds and smells. It then dawned on me that all the marketing that I was exposed to, slowly lead me up to the decision to buy that Minnie Mouse outfit. And, not only did I buy it, but I had no buyers remorse and I enjoyed the experience.